There are travelers, and then there are FOOD travelers. People like you and me. People who travel the world to eat. People who live for their next great culinary adventure! When we dream of faraway places, we dream with all our senses. We image ourselves on a Paris sidewalk, inhaling the heady aroma of poulet rôti, its crisp skin as brittle as burnt parchment. Our food fantasies are so vivid we can hear the hiss of the chickens’ juices as they drip on the potatoes at the bottom of the rotisserie. Like Dorothy, we dream in technicolor, envisioning vibrant street markets and exotic spice bazaars, and regardless of the object of our desire, be it truffles in Alba or bagels in Brooklyn, we are on a mission to taste the world’s most iconic foods. Here at The Culinary Travel Guide, I’ve partnered with Viator to help make your most mouthwatering fantasies come true. To that end, I’ve compiled a list of extraordinary culinary adventures around the world. 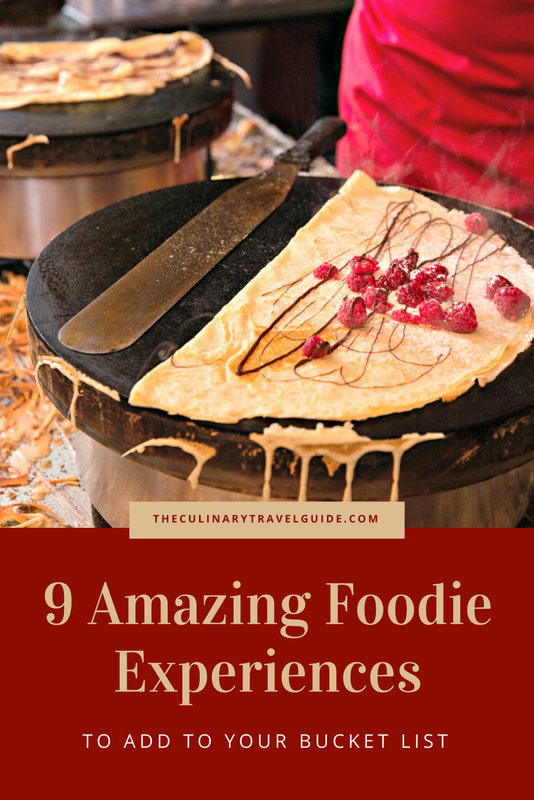 When you see one that makes your heart beat faster, add it to your bucket list so you can start planning your next epic food journey! Under the watchful eye of your expert host – a French chef – spend an afternoon in a private apartment in the heart of Paris, discovering the culinary secrets to making delicate from the recipe of the famous French pastry chef Pierre Hermé. The double-decker macaron – made by sticking two macaron shells together with was first done by Maison Ladurée, a legendary Paris pastry shop, in 1930. Today, colorful macarons line all Parisian pastry shops. Chic and irresistibly delicious, they are the perfect French treat! 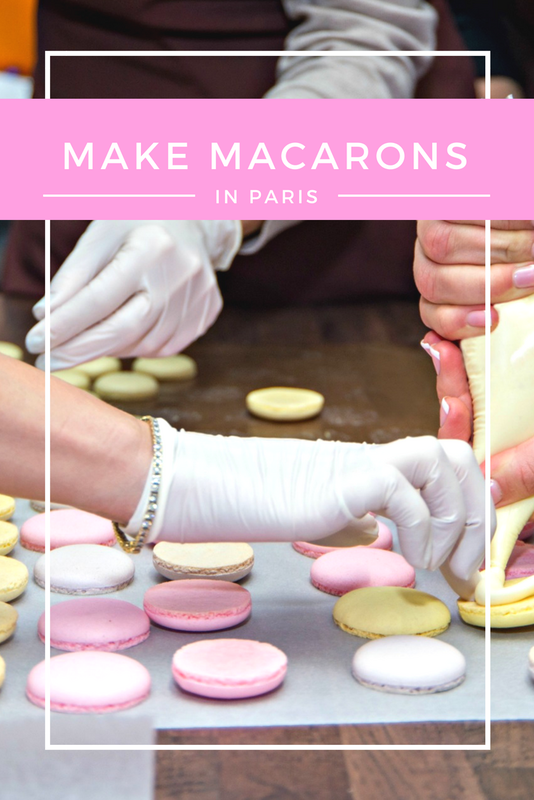 Your three-hour macaron-making experience will take place in a private Parisian kitchen, with regular utensils and equipment so you can easily make your macarons again at home. Two flavors will be chosen and created by your group out of the following options: chocolate, lemon, raspberry with Tonka bean, coconut with milk chocolate, or coffee. At the end of your class, you will take away a box of macarons and a copy of the recipe to share with your friends back home – or keep all to yourself! Enjoy a walk through some of Napoli’s famous streets, led by an expert guide and end the night with a delicious Neapolitan pizza in a historical pizzeria. If every time you have been abroad you always wanted to taste the typical dishes, go out for dinner as a local citizen, trying to feel as you are living there, and in every place you have been to you were looking for several restaurants without knowing what to choose, try this dinner in Napoli experience. On this flexible tour, you’ll be given you the chance to choose between many restaurants, many dishes and go out for dinner with your local guide. Here in Napoli, you can find the best kitchens in the world. After choosing the date and time, your guide will pick you up, passing through the most beautiful parts of the city, giving you the time to do some sightseeing and take pictures. After that, you will be taken to the restaurant to enjoy an unforgettable dinner. Embark on the ultimate tajine experience on this one of a kind tour in Marrakech. From market to plate, you’ll learn how to whip up a tajine from scratch, using ingredients from the famous Marrakech souks. The best part of it all? You get to devour your tajine after you’ve made it! The day starts in Djemaa El-Fna, the center of all the action in Marrakech, before heading into the souks. Here your local host will teach you the Arabic words for all the ingredients you’ll need to cook your tasty tajine, giving you insider knowledge for your shopping experience. Now it’s time to get your cook on! During your hands-on cooking class, the chef will be giving you step-by-step instructions about how the locals cook the perfect tajine. You’ll learn all about the key ingredients and spices needed to make it as authentic as possible, the perfect skill to take home from your Marrakech travel experience. The class takes place in the beautiful setting of a traditional Moroccan riad (house), where you will meet the family and hear about medina life for a Marrakech family. Finally, it’s time to eat. You’ll get to savor the fruits of your labor and the food will taste even better as you’ve made it with your own two hands! Whether you’re a culinary enthusiast or a cooking novice, this Italian cooking class in central Rome promises to be a fun, entertaining experience you’ll never forget. You’ll start with a trip to Rome’s Central Market, where your guide will help you shop for the best produce. You’ll meet butchers, bakers and farmers selling meat, bread and fresh-picked vegetables, and you’ll learn how to distinguish high-quality ingredients. Plus, learn how to barter for the best price. 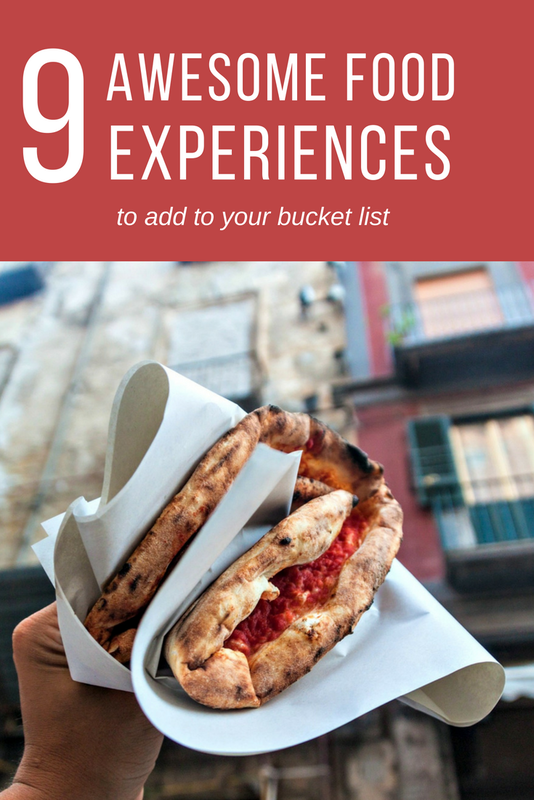 Then, head to a private kitchen in Rome, where your exclusive Italian cooking class begins. During this hands-on experience, you will learn how to prepare three different kinds of fresh, homemade pasta and a main course; your dishes will be accompanied by a selection of fine local wines. Finally, after you’ve picked, prepped and cooked, you’ll dine on the sumptuous Italian meal you’ve created. This small-group Italian cooking class is a great way to make your trip to Rome extra special; it’s a must for foodies and cooking fans. Explore Brussels on a 4-hour guided walking tour with a twist as you following the trail of the city’s top chocolate shops. Your guide will point out the major sights as you go, explaining the history of Brussels and why it’s famous for its chocolate. Enjoy tastings of these Belgian treats and learn to create your own in a workshop with a chocolate connoisseur. Brussels Chocolate Walking Tour and Workshop allows you to learn how to make the real Belgian pralines yourself through a fun workshop. Orangettes, pralines, Easter eggs… The chocolates are made with real cream or alcoholic filling, they do not keep well, but then, you weren’t planning on keeping them for long anyway, were you? You will love this original and extremely delicious walking tour that looks at the authentic Brussels like no other does. You will also walk through the historic old town to Grand Place, the former market square. A short stroll away stands Manneken Pis, the iconic Brussel’s statue sculpted by Jerome Duquesnoy in 1619. You’ll also see Jeanneken Pis, the square of the Sablon filled with antique shops, the Royal Galleries – seat for the oldest chocolate shop Neuhaus and many more highlights. Combine old-school English glamor with delicious cakes, sandwiches, and tea on this must-do afternoon tea experience in London! Choose between one of two different types of afternoon tea – one with Champagne or one with just tea – both taking place at London’s 5-star Grosvenor House Hotel. Afternoon tea in London is an institution, owing its origins to Anna, the 7th Duchess of Bedford – one of Queen Victoria’s ladies-in-waiting. As an elite member of Victorian society, she was accustomed to eating large breakfasts, small lunches, and large dinners — the latter served very late each night. To satisfy her afternoon hunger pangs, she summoned her servants to bring tea and cakes. So delightful was the experience that it became a daily meal and the trend caught on – all over London. Experience a full-day of flavor with this truffle experience. You’ll start first with limo transportation to the factory, where you’ll receive a tour of the grounds and all the different products that truffles become a part of. Afterward, you’ll go out with an experienced truffle hunter to learn the symbiosis of nature as well as the proper technique of finding truffles. You’ll then have an opportunity for a wine tasting, then dinner at a one-star Michelin Trattoria. Start the afternoon with a limo drive into the hills of Bologna to Savigno, a small village famous for white and black truffles. Here, you’ll visit a local truffle factory, Appennino Food, which holds the record for the largest truffle weighing 52 ounces. Learn about the world of Italian truffles, see how they’re processed, and how they’re transformed into delicious products. Next, you’ll head out on a one-hour truffle hunt near the factory with a licensed truffle hunter and his dog, Macchia. You will see the special relationship between the truffle hunter and his dog and you will learn about the unique symbiosis of truffles and trees. After the hunt, you’ll take a break with a wine tasting. End the day with a special truffle dinner at Amergio 1934, a one-star Michelin trattoria. Here, Marina and Alberto will be waiting for you with a 5-course degustation menu (including black truffles, mushrooms, and vegetables of the season) with local wine pairings. Skip the lines and step inside Guinness Storehouse in Dublin, then head to the Guinness Connoisseur Experience – a luxurious lounge tucked away on the attraction’s 4th floor. Meet your personal Guinness connoisseur – an expert Guinness guide – and then sit down for your 75-minute tasting session. As your guide explains Guinness’ history, characteristics and quirks, learn how the legendary Irish stout has come to be one of the most successful beer brands around the world. While explaining the different brands and the pouring ‘rituals’ needed to achieve a perfect head, your guide will pour four samples for you to try: Guinness Draft, Guinness Extra Stout, Guinness Foreign Extra and Guinness Black Lager. Enjoy the creaminess of the draft beer, poured fresh from a tap in the bar, and contrast its smooth flavor with the rich chocolate-like tones of the extra stout. Savor the full-bodied notes of Guinness Foreign Extra and hear how it’s brewed with extra hops and barley to give it a more bitter bite. The fourth sample – black lager – is a cold-brewed version of the classic Irish stout that was only launched in 2012. At the end of your tasting session, pick your favorite stout and enjoy a pint of it while relaxing with your group. Before leaving the room, your guide will give you a Guinness souvenir to take home, and then point you in the right direction to explore Guinness Storehouse at leisure. The museum is huge, with seven floors of memorabilia and interactive exhibitions that document the brew’s history, production and Irish appeal! Finish up with a visit to the Gravity bar, enjoying great views over Dublin as well as another complimentary pint of Guinness draft. Travel from Palermo to Erice, an isolated medieval town perched high on top of Mt Erice and learn about its fascinating history. Legend suggests that Erice was founded by the indigenous Elymian people, who were believed to be Trojan exiles. Admire the breathtaking vistas of sweeping valleys and wander around the maze of Mediterranean lanes. Venture into some of the town’s pastry shops, which are known for their mouthwatering selections of specialty sweets, such as marzipan candies and almond and pistachio pastries. Travel to a Sicilian olive oil estate and tuck into a typical Sicilian lunch that features fresh local produce such as cheese, salumi, and olives. Savor samples of olive oil and wine, which are also produced locally. After lunch, continue to Segesta, another city connected to the ancient Elymian people. Explore the ancient ruins at your leisure, marveling at the unfinished Doric temple, which dates back to the 5th century BC and at panoramic vistas of the rolling hills. Thanks, Kristin! I’m in the process of switching my posts to full-width and am loving all the extra real estate.